We want YOUR PET for our POSTER! We need JPG images of dogs and cats for our poster design. 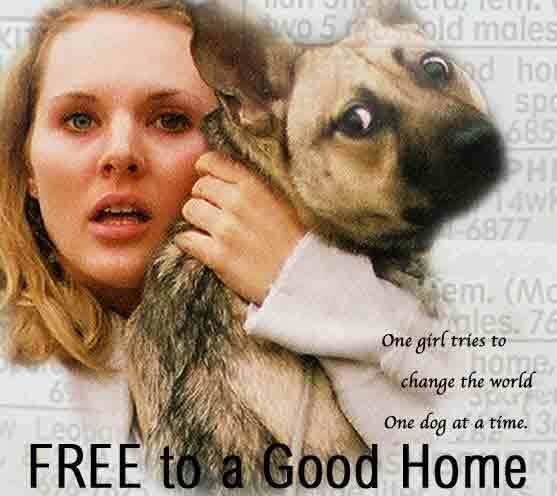 FREE to a Good Home is a dramatic feature, which follows (exploring) one young woman’s journey of self-realization through her commitment to animals and her work in animal rescue. While this is a work of fiction it takes a harsh, realistic look at the poignant lives and tragic deaths of just a few out of the millions of animals that fall victim to a system that does not work every year. Through the protagonist’s experiences, this film provides an insider’s view of Animal Control, as well as the daily lives of the people, predominantly women, committed to rescuing the animals from the streets, the shelters, the backyard breeders, and the homes of collectors. Ultimately, the film offers compelling solutions to resolving this ongoing problem of animal overpopulation and abuse. "Q: Judy, after three years of hard work and dedication to putting together, “FREE to a Good Home?” -- you lost almost everything to a fire that consumed your home and sadly, you lost four of your five pets to the fire. How were you able to keep going, and complete the film? JC: Actually I do not know how I went on. When Bambi (one of Judy’s pets) died three days after the fire, I wanted to quit. I wanted to crawl into a cave and avalanche it closed. It was hard. Miserably hard. It still is. My animals are in this film. Editing was torture." FREE to a Good Home begins by introducing the protagonist, Tala Loreto, a compassionate and headstrong young woman, living in Wyoming. Armed with a big heart and even bigger ideas, she embarks upon both a literal and metaphoric journey to prove that one person really can make a difference. Tala heads west, along the way she finds a stray dog abandoned at a gas station. Determined to live up to the last words she yelled at her mother before storming out. Tala begins changing the world one stray at a time. She and her new traveling companion trek all the way to Los Angeles, where she discovers how hard adulthood can be. With no money, no job, and no place to call home, Tala stumbles across a small trailer park where she meets some very odd but well-meaning characters who help her settle in. Tala finds a job in fast food, while she does chores around the trailer park to work off her rent. Tala’s landlords only make life harder on Tala. They begrudge her pets, and even go as far as to lie to her about the legal pet limit in Los Angeles. 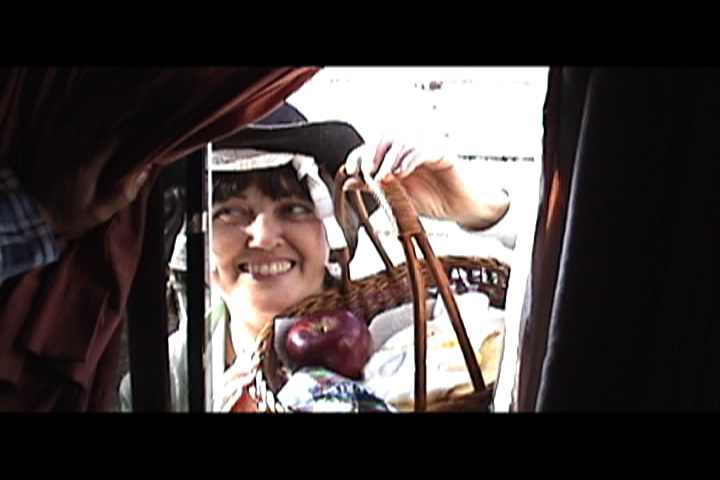 Tala finds comfort in Nadie, her most eccentric neighbor, who offers warmth and support throughout the tough times and companionship throughout the good. When Tala goes to the animal shelter to get licenses for her dogs, she learns of a lucrative job opening that would provide escape from both the indentured servitude to her landlords and the burger business. 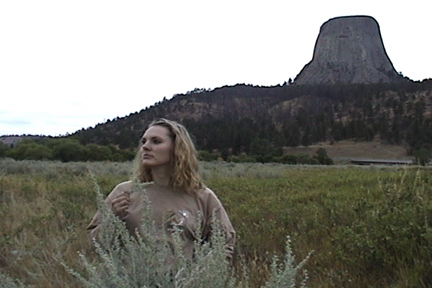 She meets Joey, the pulls-no-punches shelter manager, who offers her a quick interview; however, when Joey sees that Tala’s only experience is as a volunteer at her shelter in Wyoming, she refuses to pay Tala for her work. Instead, she offers her a volunteer position. Tala is forced to tough it out in her current predicament, until she can no longer pay for her vet bills. Broke, haggard, and desperate, Tala finds Joey at the shelter and pleads for any kind of work. Joey gives in. During her first days Tala rejoices in her success. Things briefly look up for Tala, but by the end of the week she learns the hard truth of working in the shelter system. A co-worker, Trixie, introduces Tala to the plight of unwanted animals. Tala learns of the shelter’s execution policy. Unlike Wyoming, which has an 80% adoption rate, Los Angeles has an 80% kill rate. Frantic to save as many lives as possible, Tala convinces Joey to give the animals currently scheduled for euthanasia more time to find homes. Tala goes into action, searching out rescue groups and pleading with anyone to adopt an animal. She offers to foster the animals until she can find homes for them. Only able to save a few animals, she redoubles her efforts determined not to let anymore die while under her care. Despite her efforts, as the next scheduled execution day approaches, there are still several homeless animals on death row. Tala pleads with Joey to give her and the dogs, another 24 hours. In that time she promises to find homes for them all. After Tala spends hours on the telephone with numerous local rescuers and waiting for them to show up to take the dogs, Joey halts the project. Joey has to make room for the nearly one hundred new strays brought in daily. Desperate to save them, Tala attempts to steal several dogs, only to be caught in the act by Joey. Overwhelmed by her failure to save the dogs, Tala falls into a deep depression. She quits her job and spends her days in bed, unable to even take care of the dogs she has saved and leaving the responsibility to Nadie. Nadie takes Tala under her wing and helps her get back on her feet and Tala is able to return to her job at the fast food restaurant. But wherever Tala goes, she is still unable to pass up a stray. She becomes a collector and tries to stay one step ahead of the dogcatcher. When her landlords turn her in for exceeding the number of pets allowed by the city, Tala's rescued animals are taken from her home and placed into the shelter system. Tala fights the clock, to find homes for the dogs. And again, she loses, as there are simply more animals than there are adoptive homes. Tala is only allowed to take back the legal limit of four, leaving eleven without homes. Tala is faced with a heartwrenching - a decision that rescuers face everyday - which animals to save. She becomes even more determined to rescue every animal she comes across. Again this gets her into trouble as the insurmountable odds are stacked against her. Tala must learn the lessons of animal rescue and conquer the ever thinning line between obcession and passion.